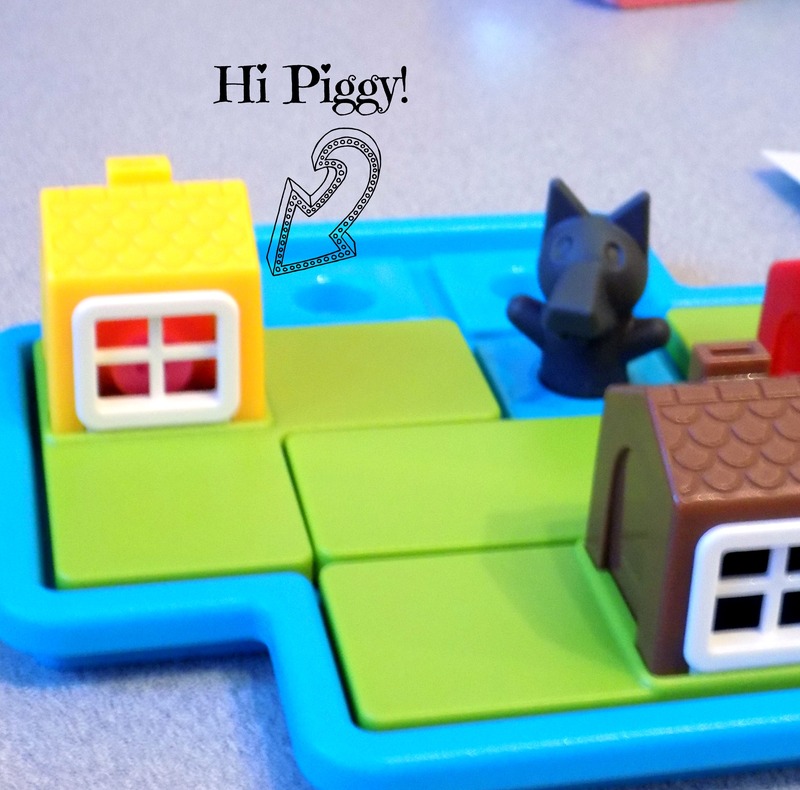 You are here: Home / Preschool / 3 Little Piggies Smart Game Review! As many of you know, I am a HUGE fan Timberdoodle! We have been using their curriculum kits for 2 years now. It is seriously the only curriculum I will ever use. It’s just so fun, hands on, and easy to use! 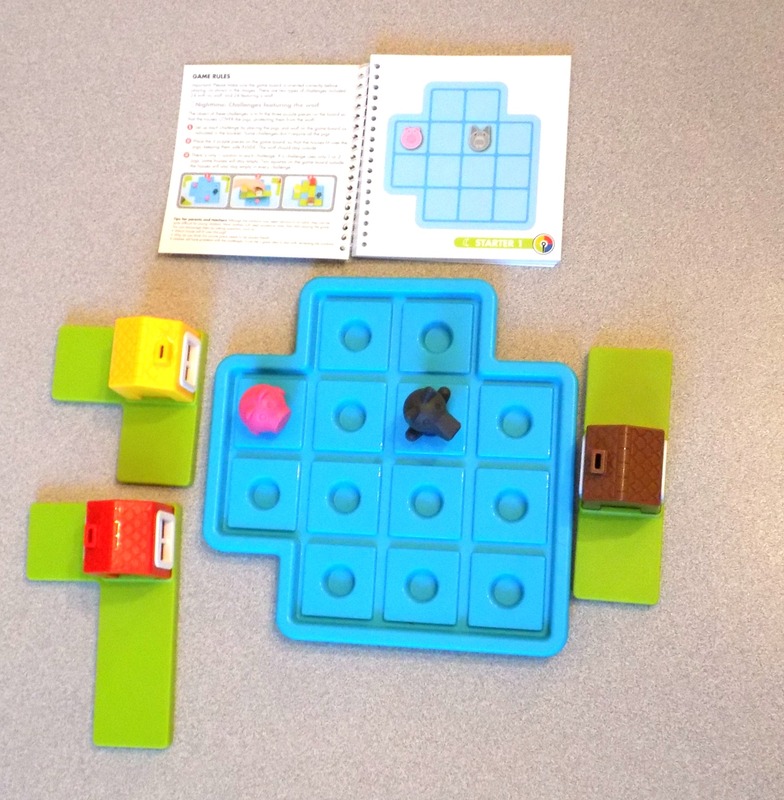 So when they asked me to review the 3 Little Piggies Smart Game for them I was more than thrilled to do so! This game was provided for the review. This is my honest opinion about the game. 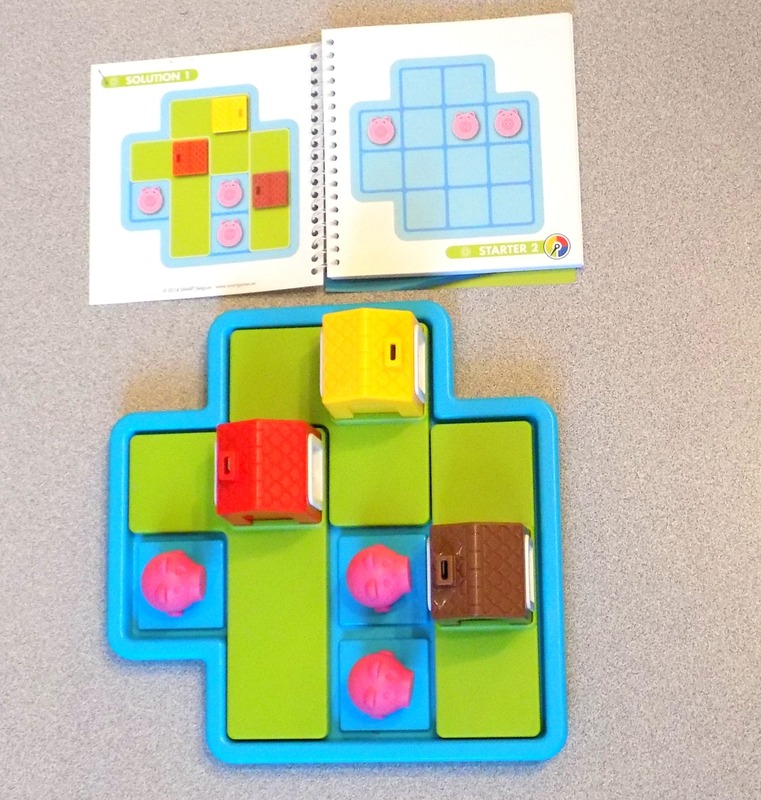 This game is included in the Timberdoodle Pre-K Curriculum Kit and the suggested age for this game is 3+. My son is 6 years old and we find this game challenging enough for his age and even the adults enjoy the challenge. The game comes with a beautiful picture book that tells the story of the 3 Little Pigs, a game board, the challenge book, 3 houses, 3 little pigs, and big bad wolf. You have two challenges that you can play the game in. The day time challenge and the night time challenge. For the day time challenge you do not use the wolf. 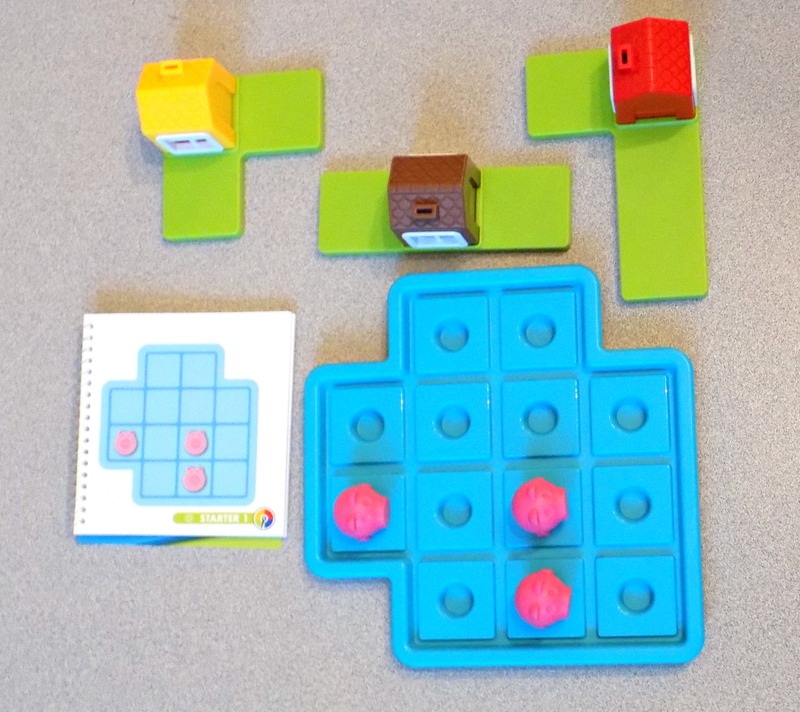 Simply set up the board according to the picture shown in the challenge book. Be sure that your board is correctly oriented to match the picture book, otherwise the puzzle will not work. Once you have your pig(s) set up correctly on the board you then want to put all of the houses onto the board. Each house will need to fit on the board so that the pig(s) are OUTSIDE of the houses. Once all of the pigs are outside of the houses and all houses have been placed on the board simply turn the page to check your answer. For the night time challenge you use the wolf. You will want all of your little piggies INSIDE of the houses and safe from the big bad wolf! Once all of the little piggies are inside and all of the houses are fitted onto the board, simply turn the page to check your answer. I really love that there are two ways to play the game. I wouldn’t say that one is harder than the other, but both are a lot of fun! Switching things up keeps the game challenging and engaging for the little ones. Kiddo actually enjoys positioning all the little piggies so that they are looking OUTSIDE of each of the windows during the night time challenges. The game progresses in difficulty the further that you get into the challenge book. It goes at a nice steady pace where the next puzzle gradually builds on the previous one. We have really enjoyed this game and I feel very confident in recommending this game to other parents. It is always great to build up logical thinking in children and to help them become better problem solvers. This game does just that and it’s so fun that they don’t even realize they are learning while they play. 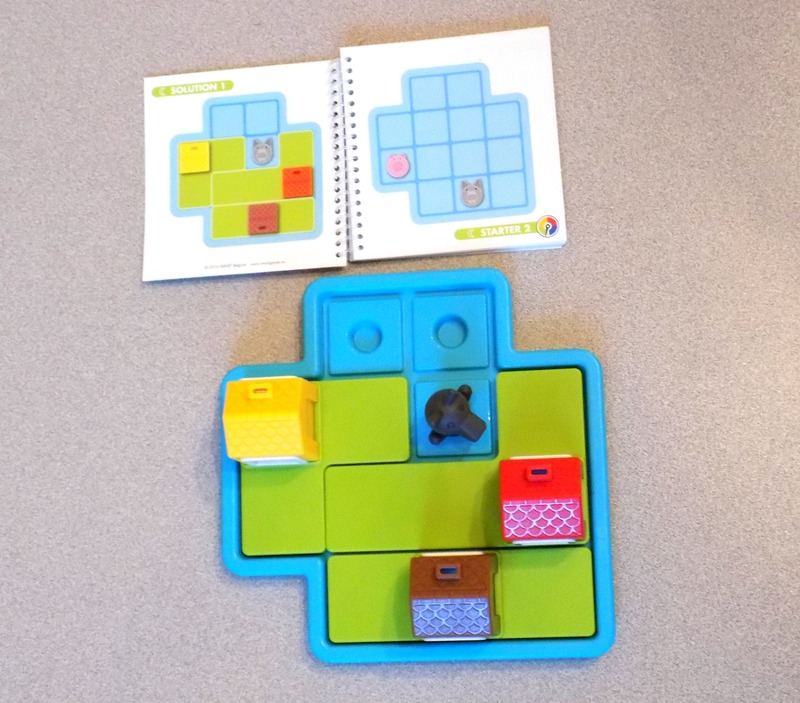 You can head over to Timberdoodle and find the game 3 Little Piggies Smart Game for just $23.75 or you can grab up the entire Pre-K Curriculum as well since the game is also included there. You can follow Timberdoodle on Facebook to keep up with all of their latest news, educational toys, and curriculum.